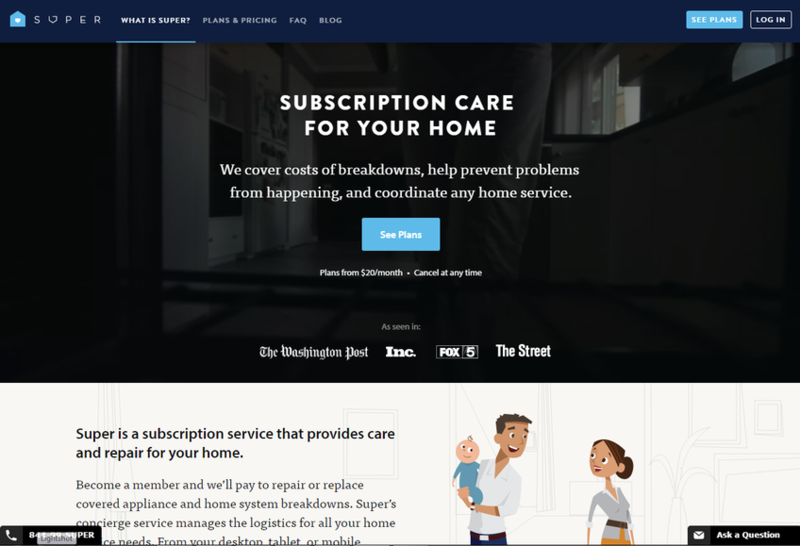 Super is a subscription service that provides care and repair for your home. We cover breakdowns and provide a concierge service to manage the logistics of all your home service needs. We also help you prevent problems with our in-depth maintenance schedule and the option to have Super do the routine stuff for you.